-That's three straight wins for the Heat. -Heat had another high scoring performance, 119 points on 55.6 percent shooting, with less drama than the previous contest. 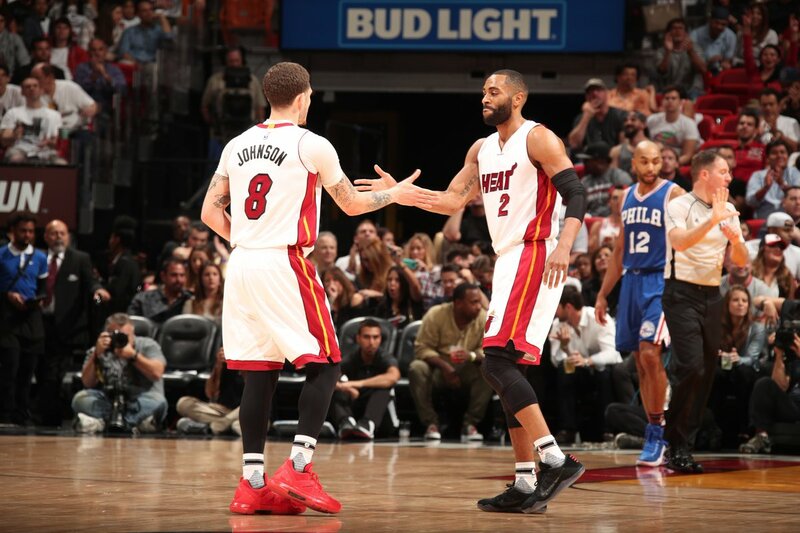 -Since the All-Star break, the Heat are averaging 115.1 points per game, second-most in the league in that stretch. This after averaging 100.5 a game prior to the break, making it the largest recorded jump in NBA history (stats inc). -Kelly Olynyk lead the Heat with 22 points, five rebounds and a career-high 10 assists. He's one of the biggest reasons why the Heat are scoring a lot since the break. The Heat are a much better offensively team when he's on the floor. - His ability to space the floor and passing the basketball makes life easier for the Heat on the offensive side of the ball. -Seems like every time KO fakes the handoff something good happens. -Tyler Johnson also pitched in 22 points. -Tonight's victory keeps the Heat at the seventh position in the East. They move 1.5 games ahead of Milwaukee. They're now 2 games behind No.4 Wizards (as of Wednesday), No.5 Philadelphia and No. 6 Indiana. -Next up, the Oklahoma City Thunder.